Coziness a feeling that's created through thoughtfully selected design elements. 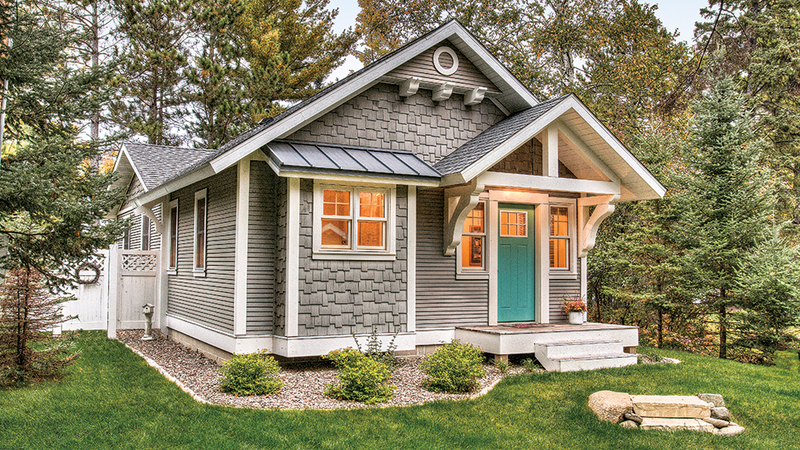 See how these 10 classic cottage details measure up. These beauties have been around the block for a while, but they’ve recently experienced a huge popularity surge. For all their down-home appeal, they have a very practical side, especially in a smaller home like a cottage: Their sliding mechanism eliminates door swing, which can eat up more usable square footage in a room than you think. 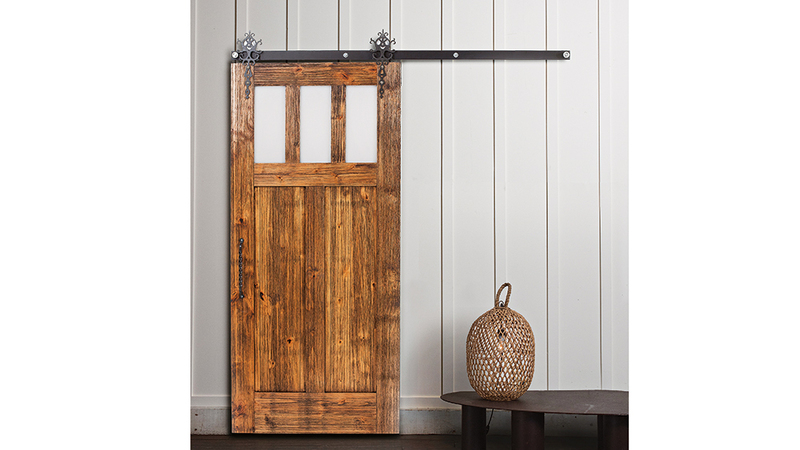 And, when it comes to cottage-style barn doors, the quirkier the better. 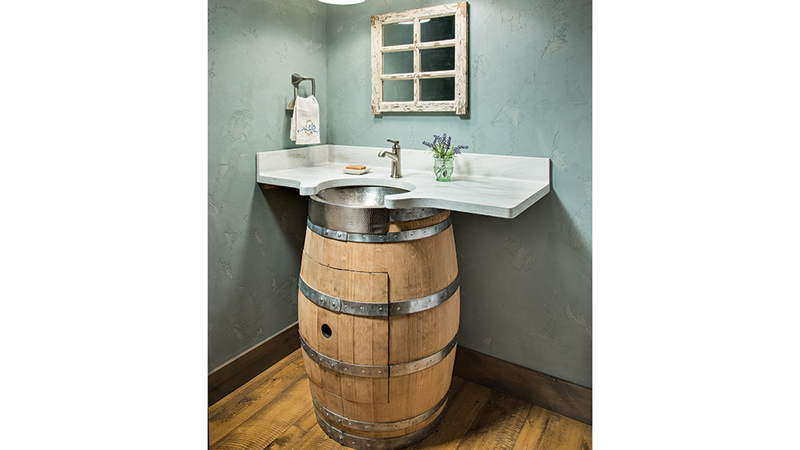 In fact, you can make them yourself using anything from reclaimed pallet boards to wine casks. You just need the mechanism and enough unobstructed wall space to allow the door to slide open. Everyone’s heard the phrase, “if walls could talk,” right? Well in a cottage, they can. Personality-filled wall treatments, like board-and-batten siding, shiplap, cedar shakes, scalloped paneling and, of course, logs, announce their charisma to the world. 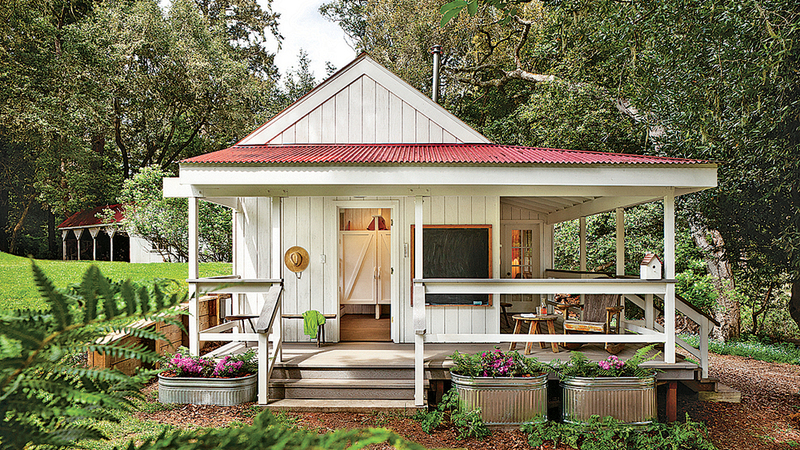 When mere paint just won’t do, look to these simple-but-savvy solutions to infuse your cottage with character, inside and out. This is where you’ve got free rein to let your imagination soar. Scour resale shops, antique stores, yard sales — even your own basement — to find old items that could have new life in your cottage. 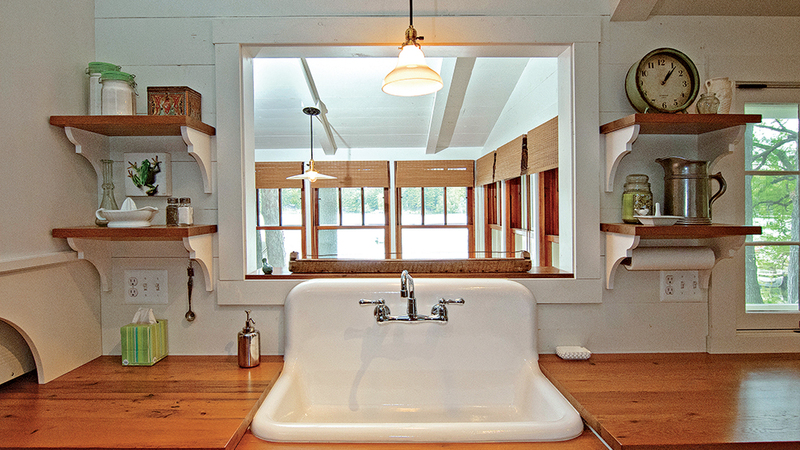 Barrels-turned-sinks, dressers converted to vanities, canoes reborn as light fixtures … in a cottage, anything goes. Pops of color in unexpected places will make you and your guests do a double-take. 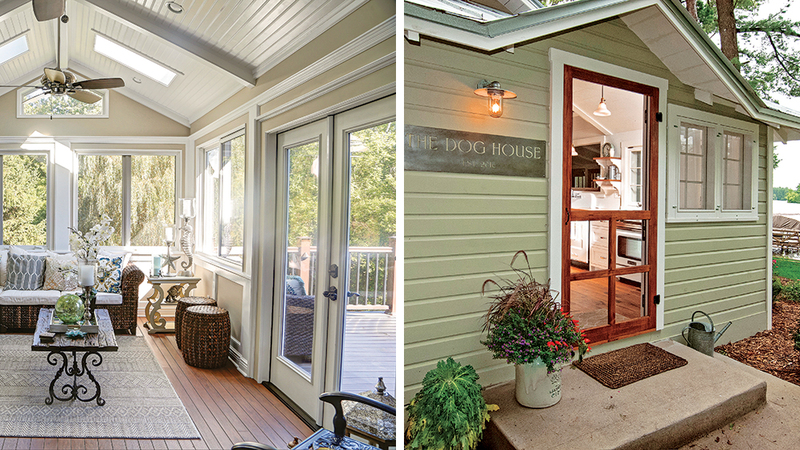 Window and door trim are ideal spots for a whimsical sky blue (left) or a bold red (right), or any color in between. Go ahead, get creative! Nothing says, “you’re at the cottage,” like a hot cup of coffee sipped from the comfort of a screen porch on a crisp autumn morning. Since cabins and cottages are often on the smaller side, adding a screen porch is an inexpensive way to extend your living area, but keep the bugs at bay. 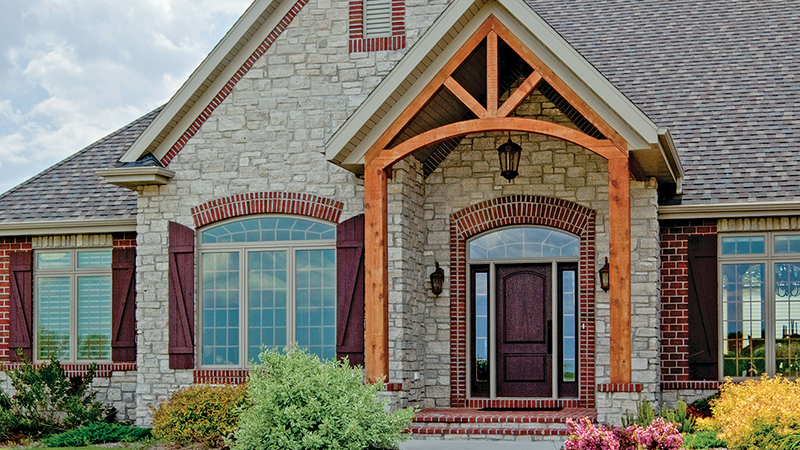 Not to mention that the curb appeal a screen porch creates is undeniable. Couple it with the telltale slap of a screen door and there will be no mistaking your cottage for an ordinary small home. Leave the stainless-steel to the “typical” houses. A cottage is where you can put expected convention to the side and really have some fun. 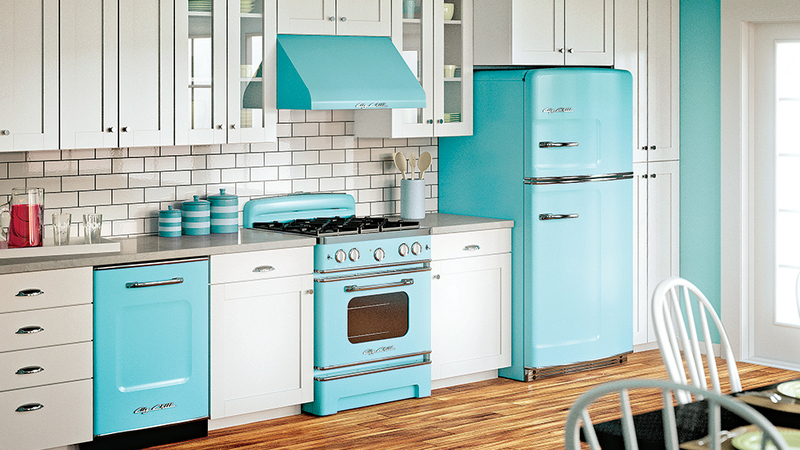 Opting for retro or wildly colored kitchen fittings is a perfect place to do that. A coastal cottage is just begging for bright aqua appliances against white cabinetry, and a log cabin’s neutral wood backdrop is ideal for an oven or fridge decked out in shades of cherry red or juicy grape. A screen porch may blur the lines between indoor and outdoor spaces, but true outdoor living, whether it’s a front porch, a rear deck or a side patio, is a cottage essential. It doesn’t have to be elaborate (in fact, in a cottage, simpler is better) but it should be functional. For instance, inexpensive, irregularly shaped flagstone is a perfect patio material. To up the cottage ante even further, add a meandering walkway for access and maybe even an arched arbor enveloped in climbing roses as a natural “doorway” to introduce your outdoor living space. The best cottage kitchens are no-frills affairs. Elaborate cabinetry has no place in a true cottage home. Instead, turn to open shelving to store your culinary essentials. Bonus: They cost a whole lot less than cabinets do. If you’re lucky enough to have a full log or timber framed cottage, your rusticity is built right in. If not, never fear — you can infuse your cottage with the warmth of wood by adding log and timber accents. 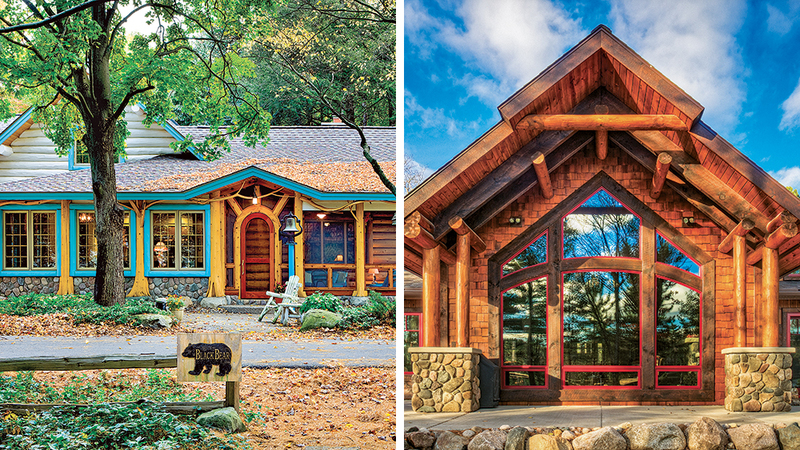 Corbels, purlins, decorative timber trusses and half-log siding are easy ways to take a room from ordinary to extraordinary. Having a hearth will ensure your cottage is cozy all year long, but a traditional masonry fireplace can take up a significant amount of space in a smaller home, and the flue can be energy inefficient. 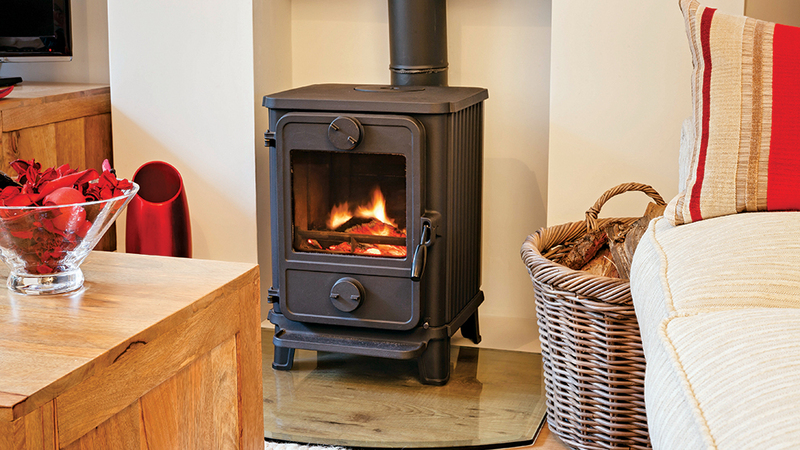 Opt for a wood-burning stove instead. These classic fire appliances are efficient, fully enclosed and throw off a lot of heat. For safety, a fireproof backing and flooring are musts.